This piece incorporates a variety of styles and materials. 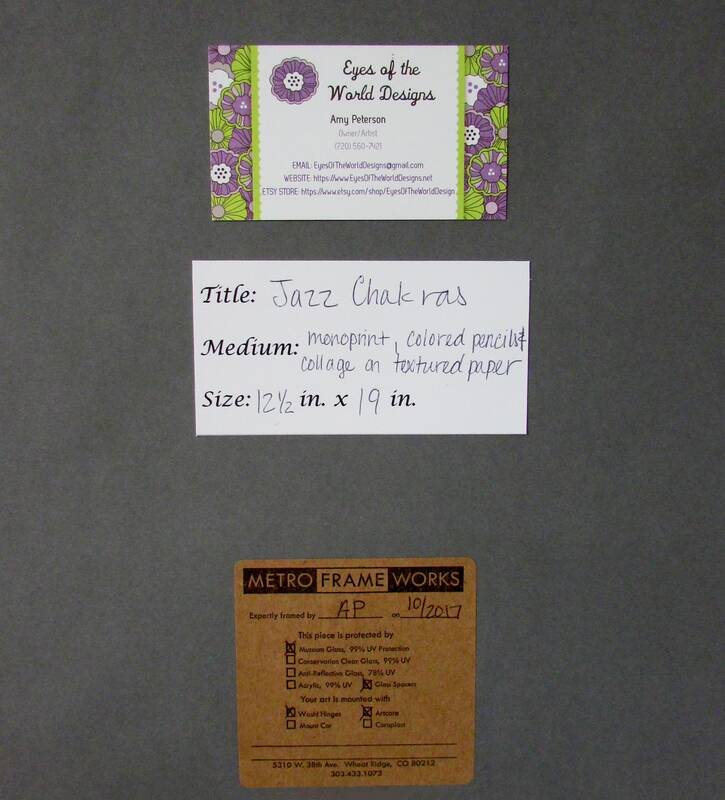 The entire work is constructed on a very fine Japanese rice paper. 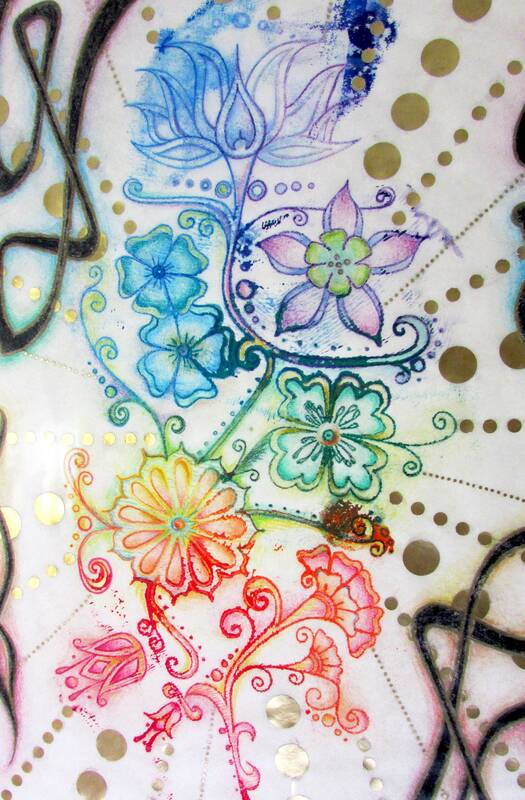 The flowers were made using a mono-printing technique utilizing a rainbow of rolled ink. 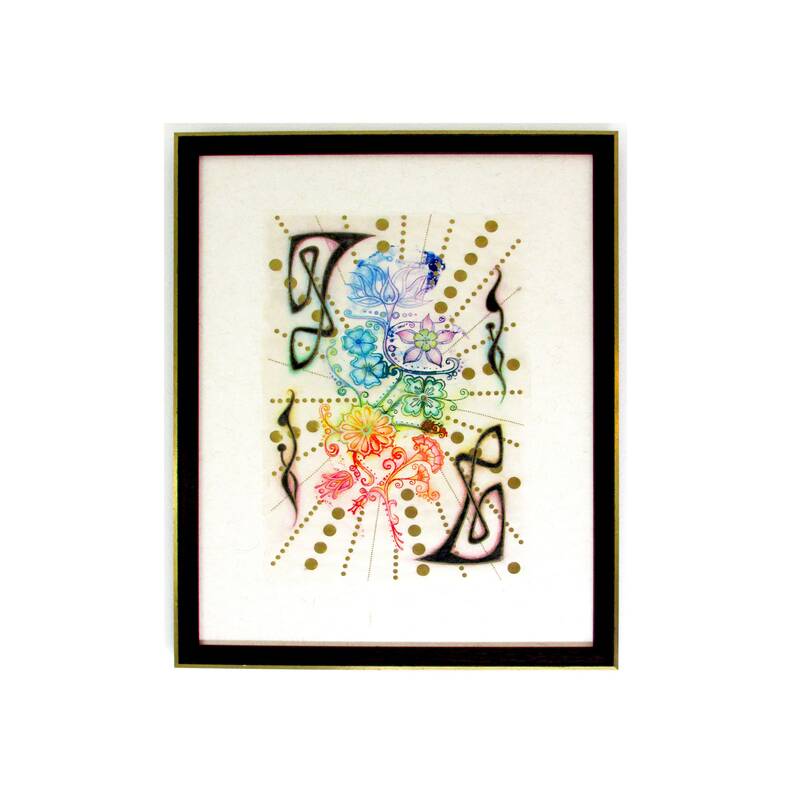 Next the art deco jazzy border was added with colored pencils. 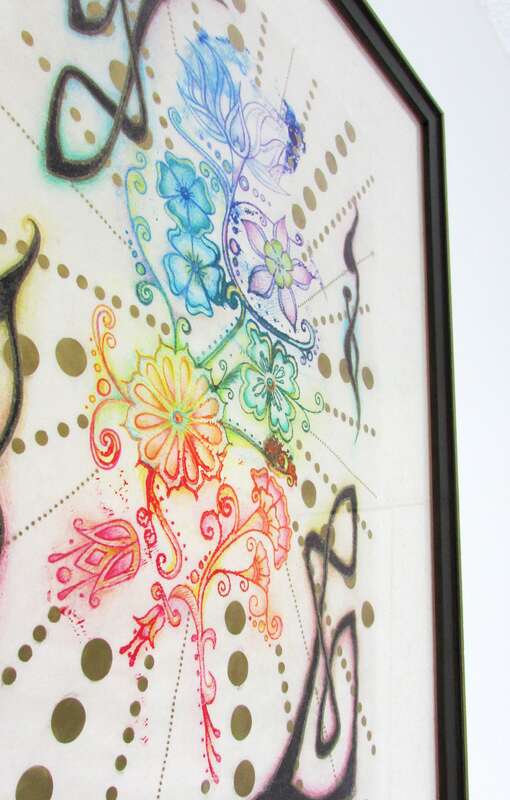 Colored pencils were also used throughout the piece for shading and details. 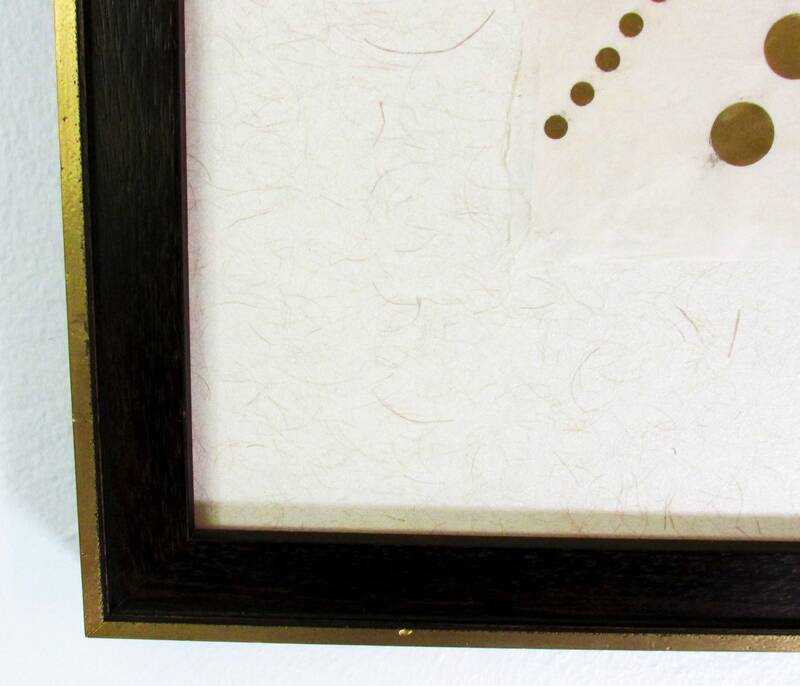 Finally, the gold circles, made out of a metallic acid-free paper, were collaged on top with patience and precision. This piece is for sale as a custom framed artwork. 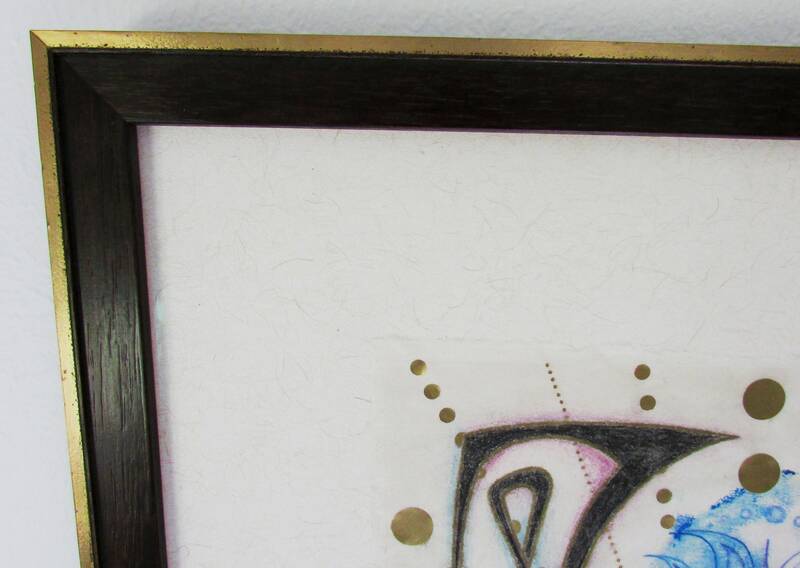 The framing was designed and built by the artist. 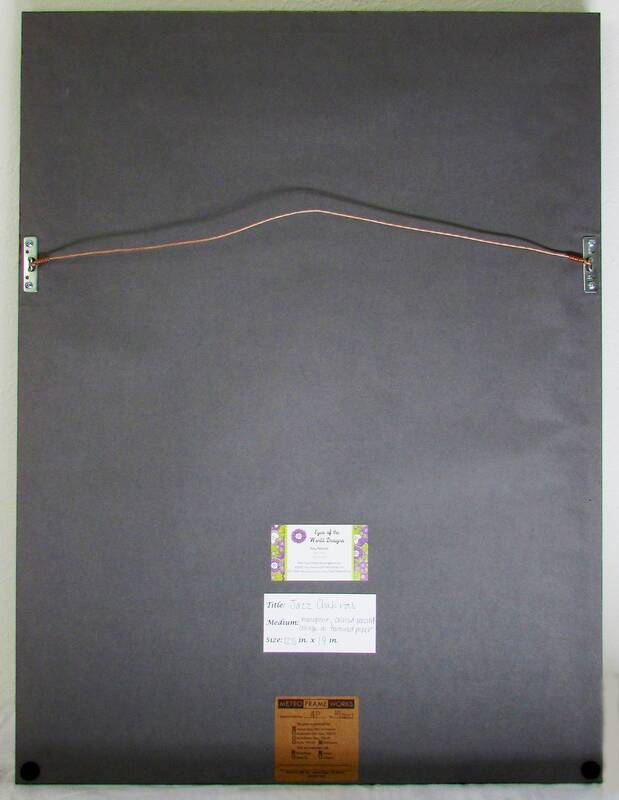 The frame is construed from a solid wood Larson molding, and the art is sink-mounted on an archival acid-free Crescent mat board featuring subtle gold fibers. The artwork is protected by Tru Vue Museum Glass, which includes UV protection and an anti-reflective coating. The entire frame job is museum quality and archival.